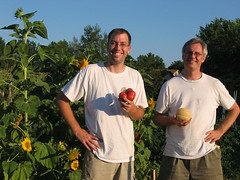 The Center for Sustainable Living » Blog Archive » Community Garden Open House! Everyone’s Invited to the Greenvale Park Community Garden Open House! Come Celebrate our first year of growing! Tour the gardens and meet gardeners.